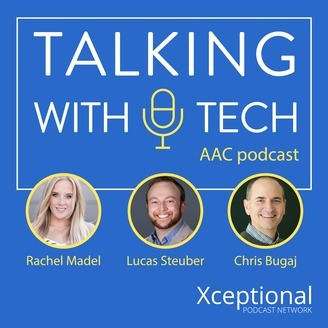 Join speech-language pathologists (SLPs) Rachel, Lucas, and Chris as they discuss helping people with complex communication needs use alternative and augmentative communication (AAC) and assistive technology! I’ve thought about starting an AAC consulting business, but I doubt at times that I have enough experience. What should I do? What do you think about recent videos from Pyramid/PECS that seem to argue that we shouldn’t introduce core words until a student has already learned a number of fringe words? How can we best talk to parents about interventions that are not evidence-based, like the rapid prompting method (RPM), when the parent has a positive opinion about it? This is one of TWT’s most thought-provoking and interesting episodes. You won’t want to miss it! We want to know what you think! 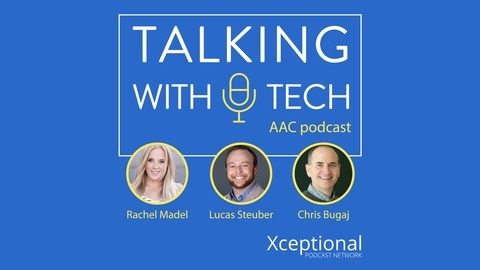 Join us on Facebook at Talking with Tech and on Twitter and Instagram (@talkingwithtech). Also, please subscribe and post a review on iTunes - it helps others to find us!